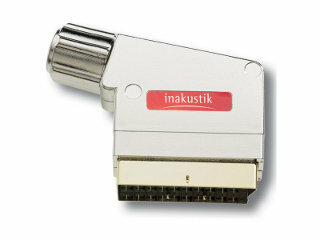 Enlarge Professional, compact, solid metal scart plug with exact 24c gold-plated pins for the best possible contact. 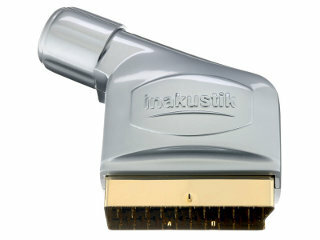 Enlarge Compact scart plug with 24c gold-plated contacts. 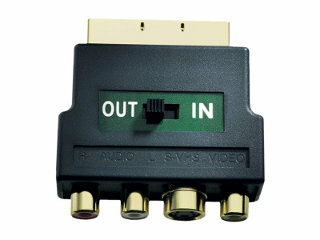 Enlarge Scart <-> RCA/S-Video adapter with 24c gold-plated contacts.